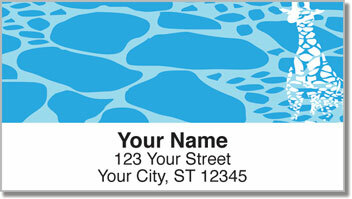 You've got to have a wild sense of humor to appreciate these Neon Animal Print Address Labels, now available exclusively from CheckAdvantage. We've got a pink and fuchsia zebra, an electric blue giraffe, a purple cheetah and a neon green cow. Wow! 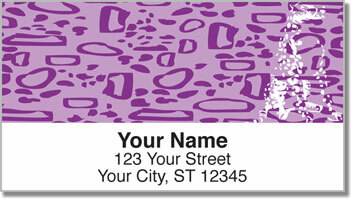 You're going to love the fashion statement these cool and colorful prints will lend to your outgoing mail. Not only that, their self-adhesive backing means no more licking and sticking! Plus you'll save the time of writing out your return address on every envelope and package you prepare. But don't stop there. 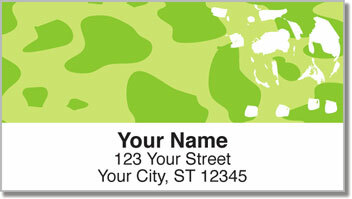 You can also use these convenient labels to identify personal items as belonging to you. Slap one on the inside cover of the next book or video game you loan so your borrower will know right where to return it! 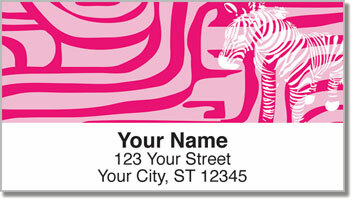 Make Neon Animal Print Address Labels and matching Neon Animal Print Personal Checks yours today!